Ferrari factory original 1971 Ferrari Daytona Coupe Fold-Out Brochure. Rough condition as the photos show! 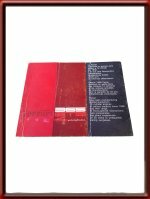 It measures approximately 10.5 x 8.1 inches. 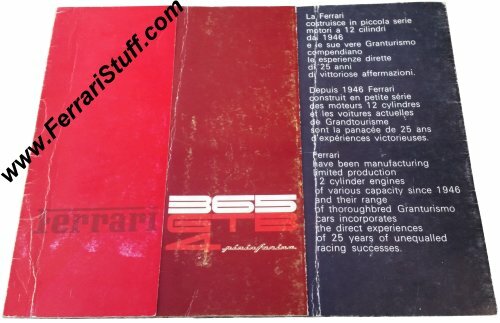 Typical early 1970's formats with odd folds and flaps with plenty of information and photographs on the Ferrari 365 GTB/4 Daytona. Commonly known as the "25 years experience" brochure. 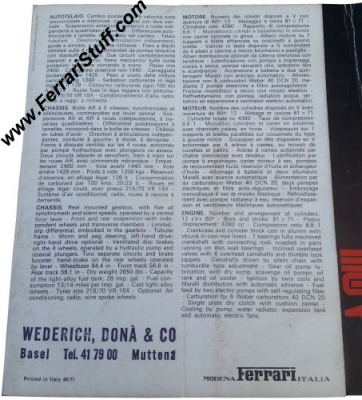 Ferrari Print Number 49/71, issued in 1971, printed in Italy by Officine Grafiche Calderini.